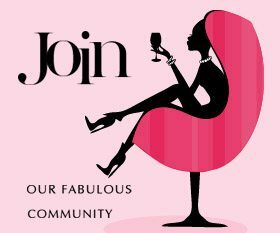 Rachel Atkins believes that, just like a good book, an inspiring song or a little black dress, wine is meant to be fun and make you feel fabulous. 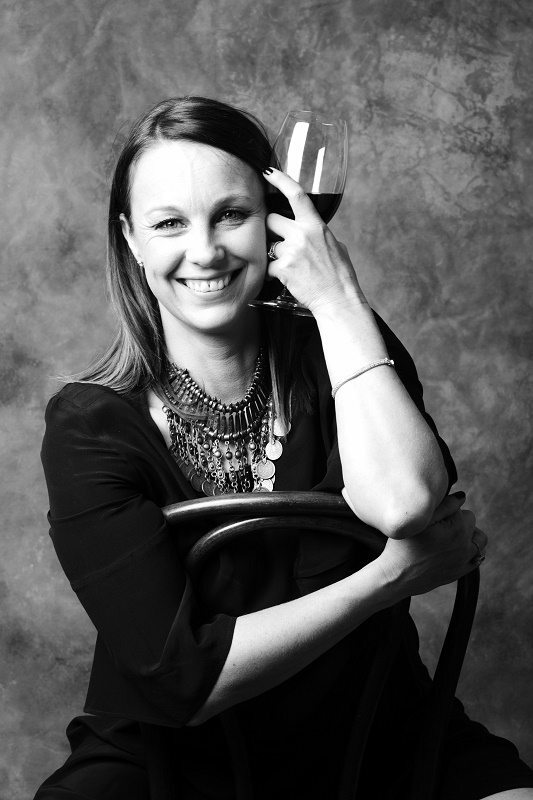 She co-founded Fox Gordon in 2000 to follow her dream of producing, marketing and selling premium wines from the Barossa Valley and Adelaide Hills. This is her story. I made the decision to step away from a career in finance to focus and grow the marketing and communications for Fox Gordon after the birth of our second daughter in 2009. The best decision I have ever made. Having my maiden name (Fox) and picture on the label was certainly a good incentive. The most valuable journey I have been on is one of learning to back myself, no matter what the result. You are the Owner and Marketing & Communications Manager at Fox Gordon. Can you tell us the story of why, when and how this happened? My husband, Sam started Fox Gordon in 2001 and we have slowly been building the brand and its positioning ever since. Over time the brand and business continued to grow, we added a fairly significant vineyard in the Adelaide Hills, invested in an Australian distributor and increased our international market exposure. 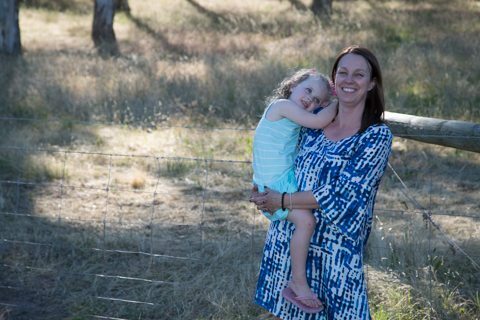 Atkins Family Vineyards and Fox Gordon are 100% owned and operated by our family, from paddock to plate, with Sam and I touching all aspects of the business. We love the business and our brands and I guess the rest is history, this is now our family, life and passion. What is the philosophy behind Fox Gordon? Like a good book, an inspiring song or a little black dress, wine is meant to be fun and make you feel fabulous. What grape varieties do you make wine from at Fox Gordon? And where are they sourced from? 10 years ago we purchased a tidy 100 acre vineyard in Kuitpo in the Adelaide Hills. There we grow Fiano, Sauvignon Blanc, Chardonnay and Tempranillo. For those varieties we don’t grow ourselves (Nero d’Avola, Pinot Grigio and Shiraz) we work closely with a select group of growers. We are currently planting Shiraz, Nero d’Avola and Nebiollo at our Kuitpo vineyard as well. I really should say Sauvignon Blanc and Viognier as those wines are names after my daughters Sassy and Abby….but I do love Nero d’Avola with a passion. I always start the day with a positive attitude and a smile. It’s so varied. I try to get to cellar door each day, especially now that the florist is there! From there I might be at a press check for our labels, speaking at a lunch, writing copy, walking through the vineyard with our winemaker, having a laugh with customers. As much as I like to plan you never know where each day may take you. Being versatile and having a lot of energy is the key. My experience overseas has been in this role, mostly in the restaurant market segment with customers. Sounds terrible doesn’t it?! There is so much to gain from having face-to-face time with our distributors and customers in the countries where we export. We are also currently opening cellar doors in China so it’s interesting to see how our branding transfers into different markets. It has to be roast chicken and Chardonnay. There’s something about that golden crispy skin combined with the unctious flavours of the Chardonnay. Compared to with world of finance, this is a dream. I think we are so lucky that the wine industry is generously cooperative most of the time. I do firmly believe that a person must be considered on his or her own merits, regardless of gender. I do a lot of events, and the thing that strikes me every time is that all the people tasting wines are there to be in the moment, have fun and learn something new. If anything, – women will probably linger a little longer for a chat (no surprises there!). The best times with wines are with friends, food, candles, music and a smile, always a smile.